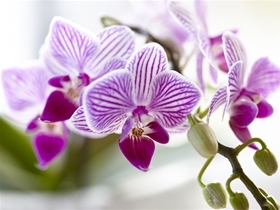 The aqu@ is a new and unique concept by VG Orchids developed in order to maximize the quality of our 6 cm Phalaenopsis, the Little Lady. The main advantages of our aqu@ system are that it reduces the frequency by which you need to water the plant, the plant’s quality remains constant and no extra care is required. We want to make things easier on you, the exporter, the retailer and the consumer. So, choose Easy Care!